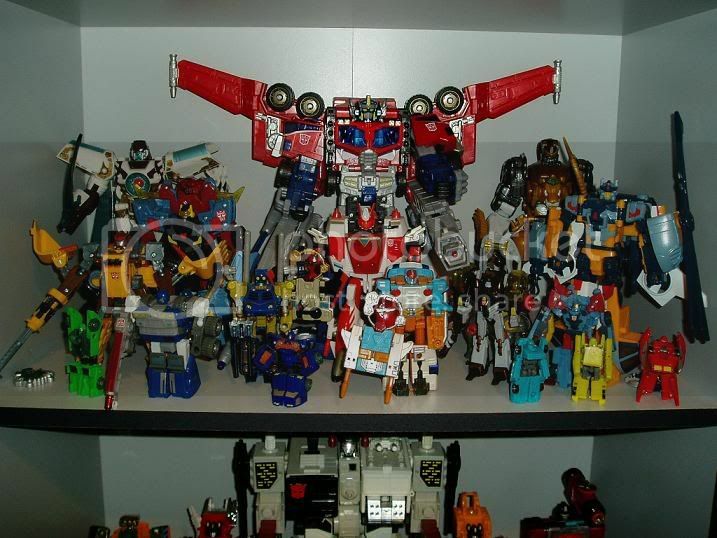 Discussion in 'Transformers Collection Showcase' started by Soundwarp, Feb 23, 2006.
heheh. i love toys in a bin pic. 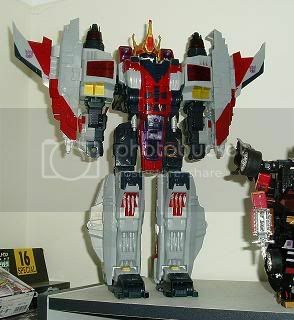 reminds me of those minicons/micromaster in jar pics. 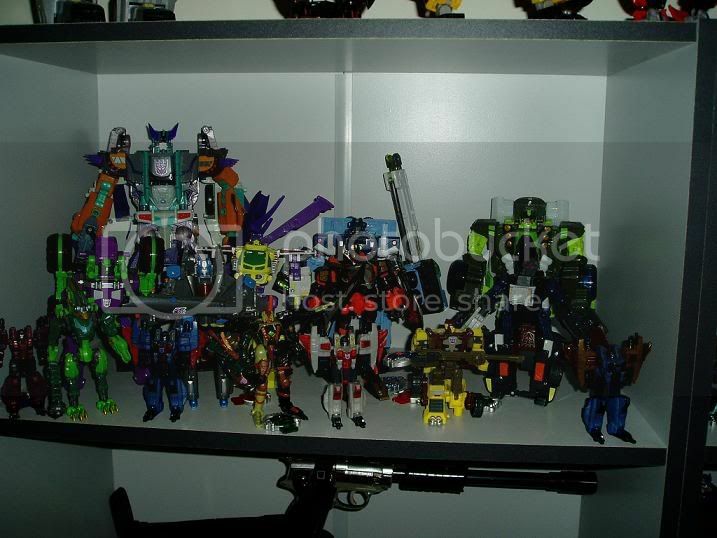 These are a bit out of date now- the Decepticon shelf has been rearranged and Dark Crumpy has been added, and Galvatron is replacing Megatron in a few days. 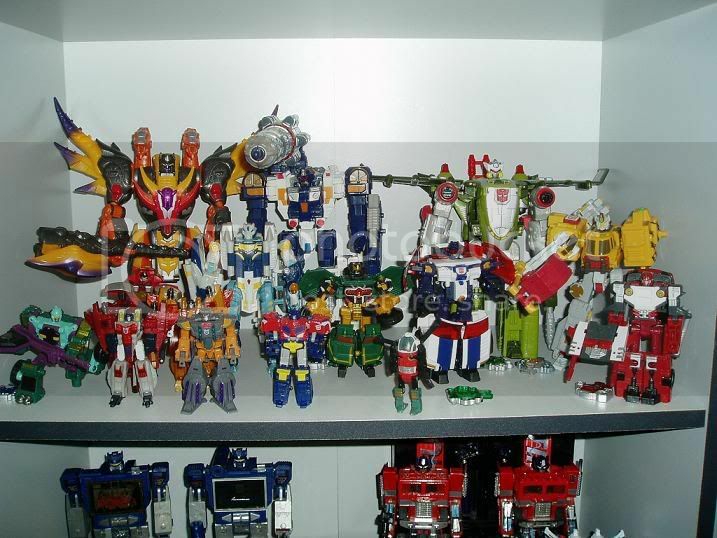 The later-show autobots also have a real shelf now and have all the LoCs and a few RMs sharing space in front of them. I'll re-post new shots next week when I get the camera back. But where are the stickers for it? Razerwire = goes crazy whining that he can't find a toy in stores for 3 weeks and when he finally finds it he just throws it into a bin with all the others ones. Where's those pics from when they were out?